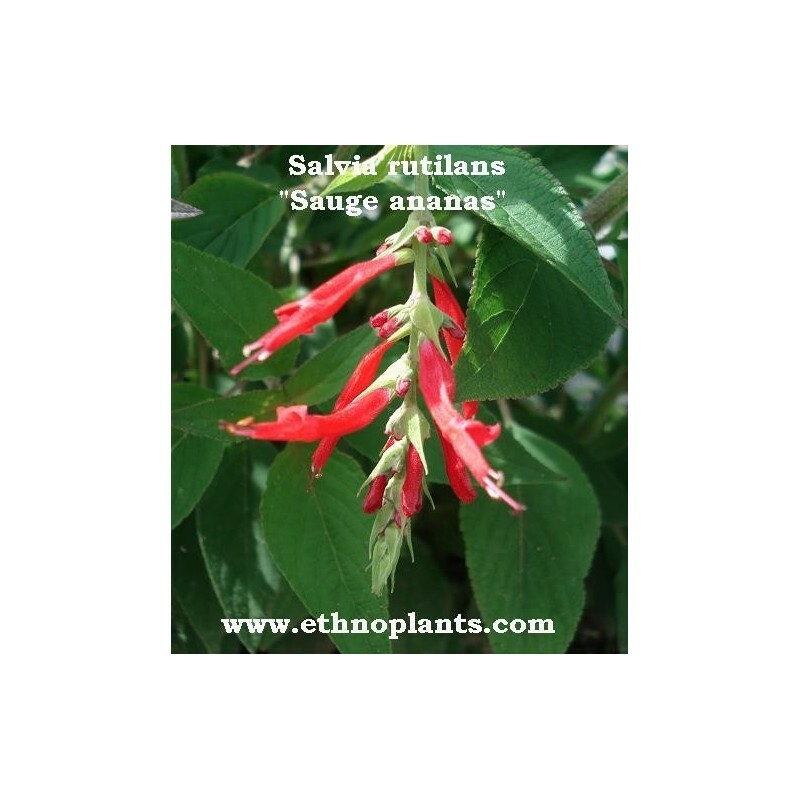 Pineapple sage or Salvia elegans, rutilans is a tender perennial plant with tubular red flowers and an attractive scent to the leaves. The scent has been compared to pineapple, while others have compared it to the odor of a martini. However, the German name of it means "honeydew melon sage". It produces numerous erect leafy stems and flowers in the late autumn. The red flowers are attractive to hummingbirds. Pineapple sage does not normally produce fertile seed in cultivation. Commercial growers produce new plants asexually, through cuttings. 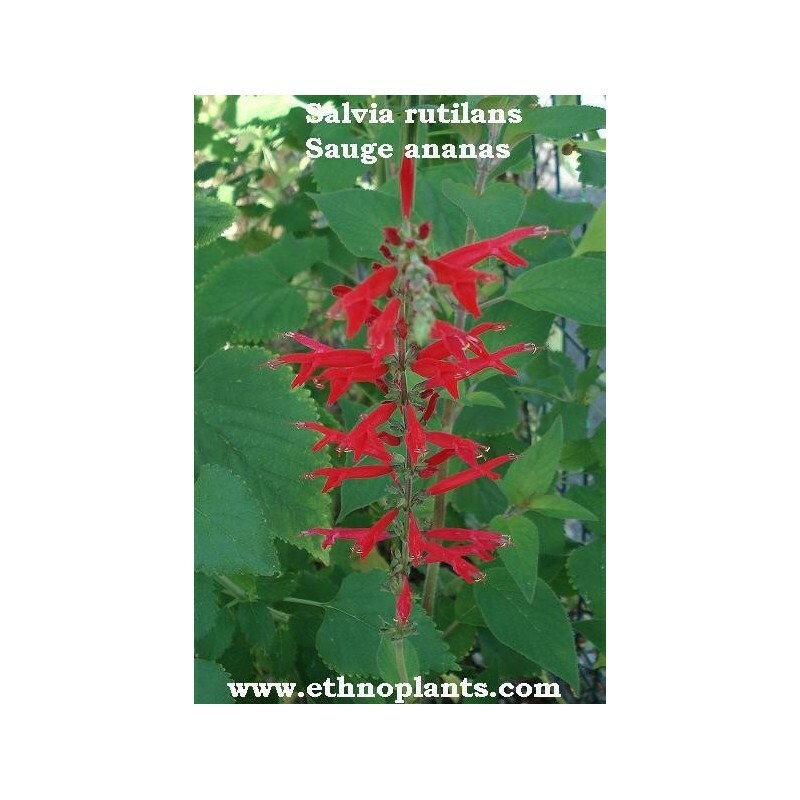 Older literature refers to this species as Salvia rutilans. Pineapple sage leaves are edible and can be steeped in hot water to make an herbal tea. J'ai découvert cette variété de sauge il y a peu de temps, l'odeur des feuilles fait vraiment penser à de l'ananas. Les feuilles sont légèrement collantes. La floraison rouge se produit en été, les fleurs n'ont pas d'odeur particulière.